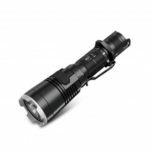 New version of the XT2C in 1100Lumens with a CREE XP-L HI V3 LED, evolution of the XT2C at 900 Lumens. 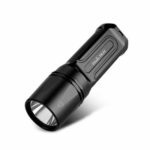 A tiny, powerful tactical light, always at your fingertips. 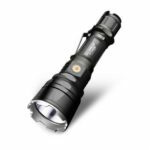 The new Klarus XT series flashlights do not joke, high-precision illumination tools, they have been developed with self-defense and tactical use in mind. 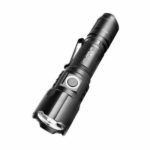 It uses 2 CR123 batteries or 1 18650 battery, handy size, it is very easy to carry in a pocket or in a bag. 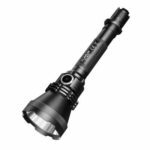 Super bright, ultra long-range, with maximum lumens up to 1100 and a lifespan up to 50,000 hours. Main switch is easy to find in the dark and will be pressed by default when pressing the tail of the light. It is at a lower level than the main switch and provides good tactile feedback. 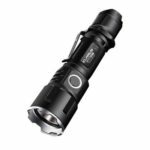 Strobe can be activated with the mode switch when the flashlight is on or off, giving instant access to strobe from any mode. Four modes for your options: high/1100LM/2.5hrs, medium/300LM/7.5hrs, low/10LM/190hrs, strobe/1100LM/7.5hrs. Multiple groove thermal design, increase the heat dissipation area. It can use 1x 18650 / 2x CR123 (use of 16340 batteries is not recommended), which can substantially reduce running costs.